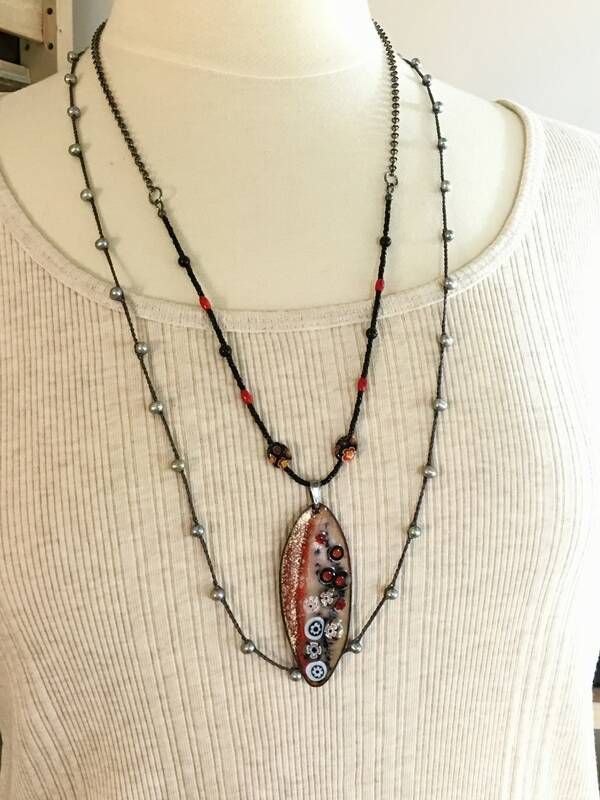 Trending and designed to cross seasons, I've paired my unique pendant with long beaded & chain necklace. 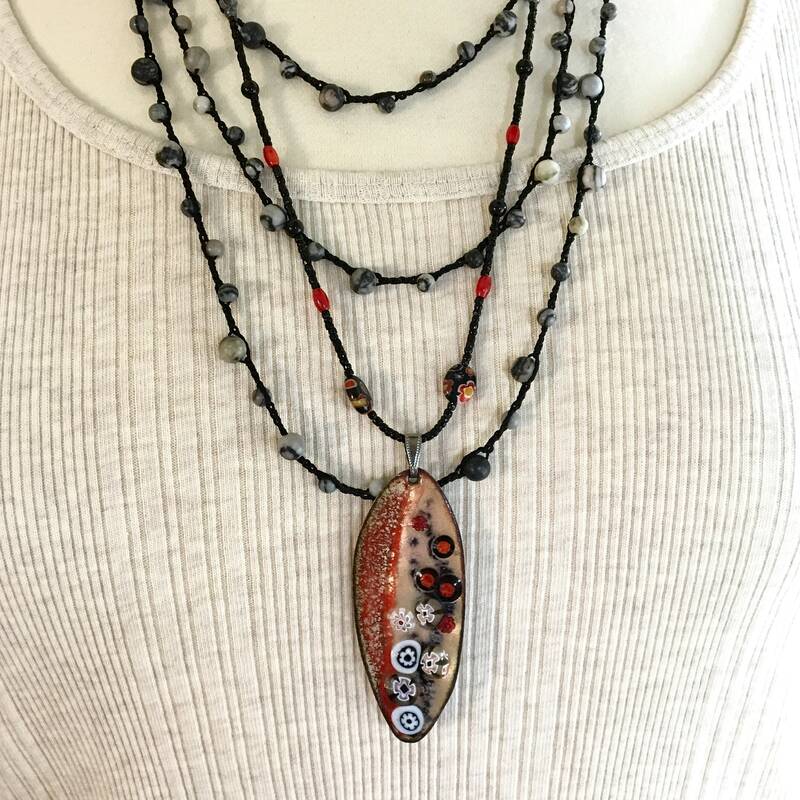 My art jewelry features red, black, and copper vitreous enameled pendant and a long chain that’s gun metal and beaded with black glass & small red oval coral beads. 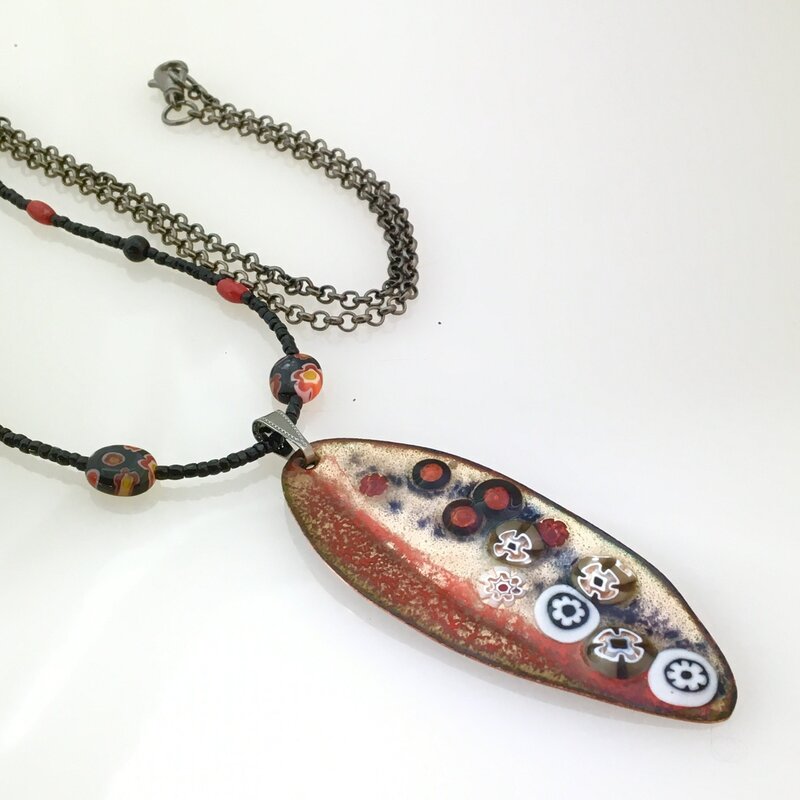 Necklace is about 26” long and the pendant is almost 3” tall, including the metal nail. 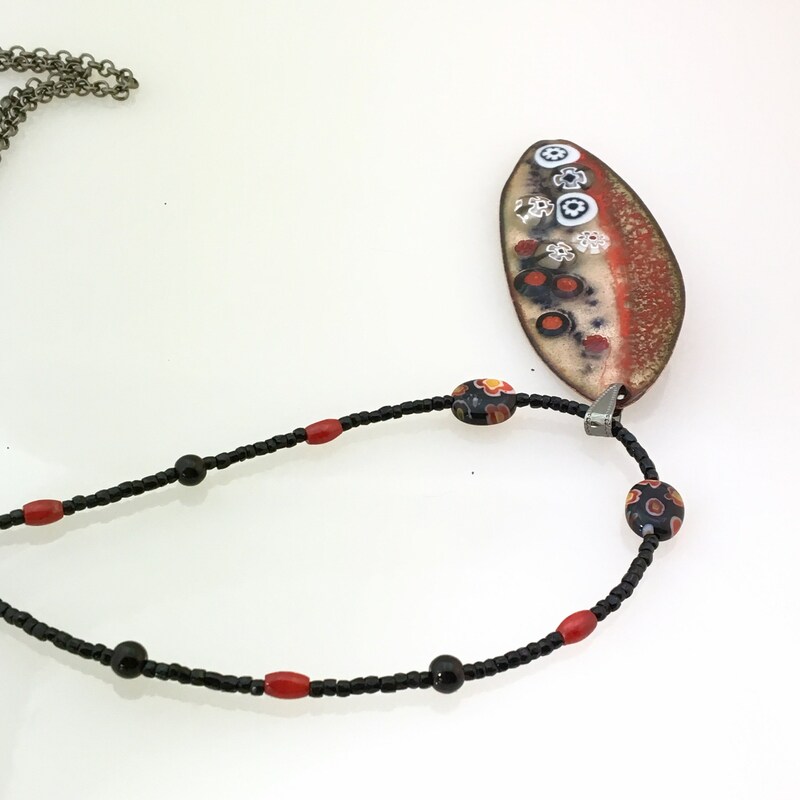 Findings like wire guards, lobster clasp, and jumprings are shiny dark gunmetal, like the rolo chain. 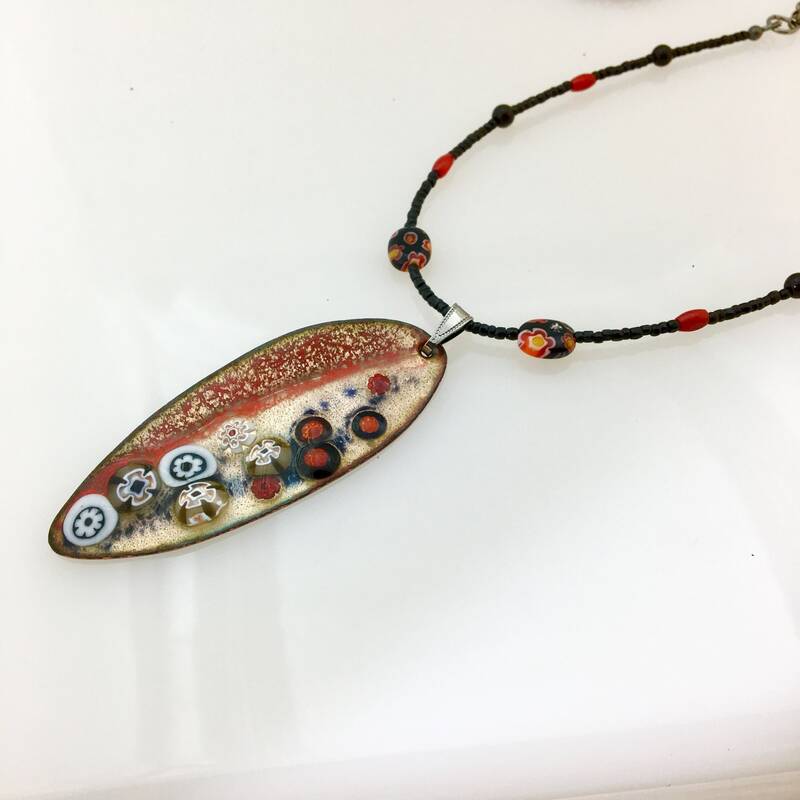 It is original, OOAK. 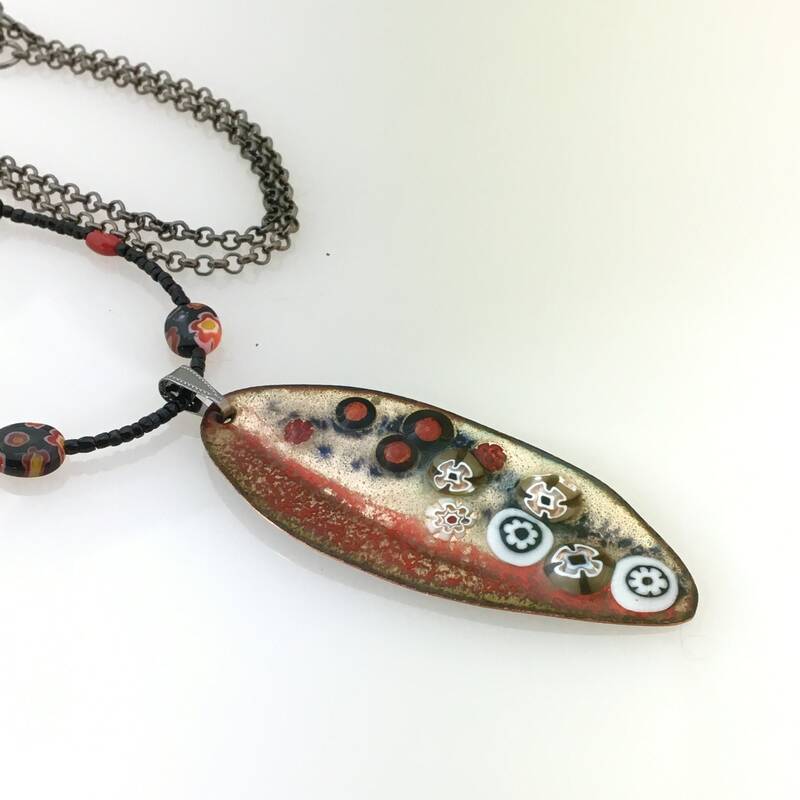 These original necklaces begin with hand cut, hand shaped copper forms that are inspired by leaves. 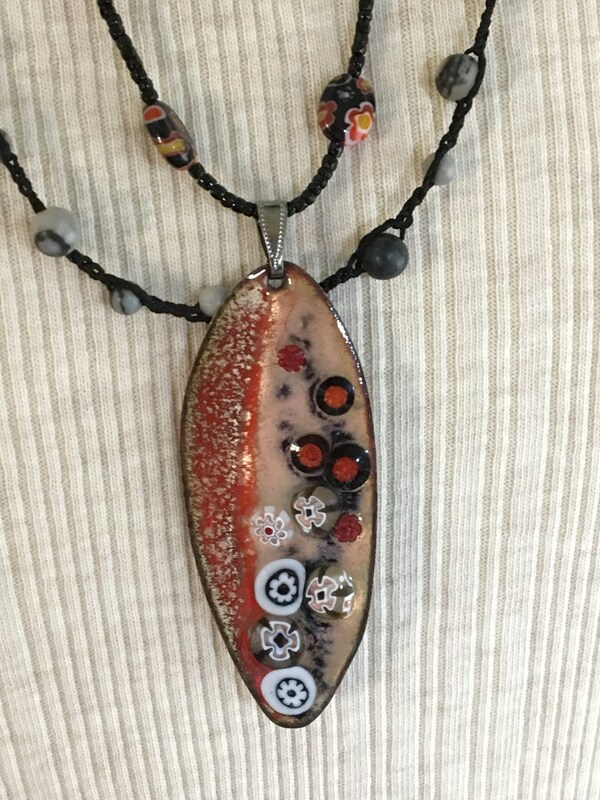 I enameled the front and back, by repeatedly coating them with various powdered glasses, and firing in a kiln to 1430F to 1470F to fuse the glass and metal to a bright, durable pendant. 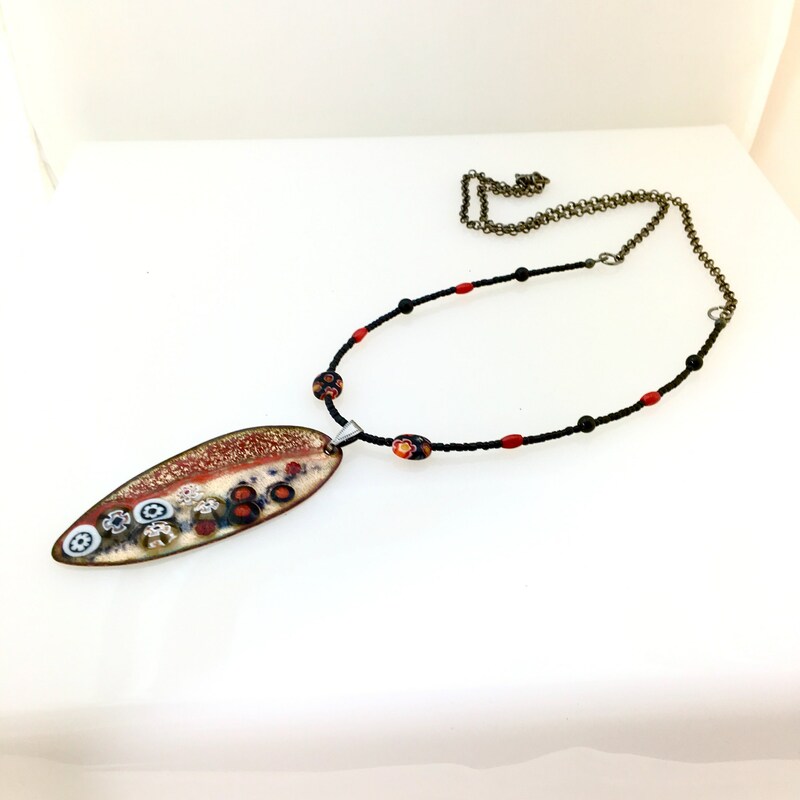 Ready to mail in a velvet pouch or signature box that is to gift and perfect for storage. Can be mailed as a gift with a complimentary card added with your message. Any questions or comments? Please send me a convo!